Get front-row seats to see the migrating humpback whales this winter with The Beach Resort Cabarita! From June to October both the Tweed Coast and Southern Gold Coast offer the prime location for whale watching, where a number of migrating humpback whales can be spotted just off the coast and seen up close by boat. This magnificent phenomenon takes place only once each year, and offers an experience that holidaymakers won’t forget for the rest of their lifetime! This winter don’t miss the chance to witness the migrating humpback whales, which can be seen just off the coast around the Tweed Coast and Southern Gold Coast region. 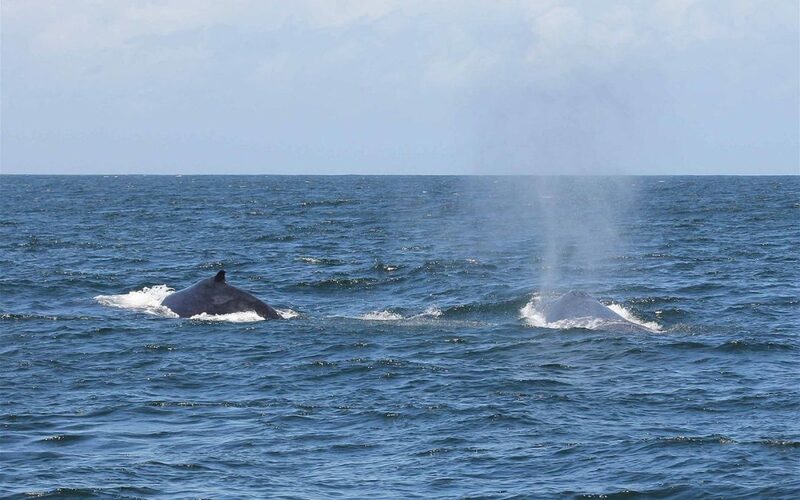 Take the experience even further by hopping on a whale watching tour, frequent around months June through to October, where you can encounter the whales up close on a stunning 360-degree vessel. Whale watching tours will take you as close to the migrating whales as possible, and offer a once-in-a-lifetime experience that you’ll remember for a long time. With the whale watching season just around the corner, the perfect time to book your holiday on the Tweed Coast is now! At The Beach Resort Cabarita our Cabarita Beach accommodation offers you your ideal holiday on the Tweed Coast, where its sprawling beaches are all at the tip of your fingers. Our choice of two and three bedroom apartments are a convenient choice for both families and groups, featuring everything you need to relax and savour the Tweed Coast this winter. Situated on the picturesque Cabarita Beach, our accommodation will have you feeling at home from the second you arrive, offering spacious living and dining areas, Foxtel TV and WiFi access, modern kitchens and bathrooms, luxury Queen-sized beds, and inclusive private balconies with stunning views overlooking the beach. On top of our stunning accommodation choices, our resort offers a wide choice of onsite facilities to take advantage of throughout your stay. Enjoy three outdoor swimming pools, a heated spa, a well-equipped gym, multiple barbecue areas, and more.